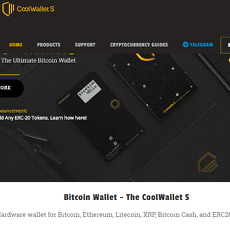 5+ Cryptocurrency & Bitcoin Hardware Wallet - Cryptolinks - The World's Best Cryptocurrency Sites List! Having a secure location where you can comfortably save up your money or earnings is one of the biggest headaches of investors and traders particularly in this generation. After working hard, trading hard and investing well enough, everyone wants to secure their earnings in a particular location. Some make use of the banks while others make use of other private societies who assist in saving up funds till you will need it. The same applies in the cryptocurrency world as traders and investors make the fund, they have to look for a secure location to keep it where they can always withdraw it from or convert it to another currency when needed. There are about five major crypto hardware wallets which have been tested to be reliable and which is being used by lots of investors and traders now. These five hardware wallets have been compiled by cryptolinks and the individual details have been made available for the general public to select from. These wallets stand out in their niche and can be very trusted. 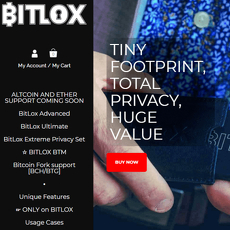 The five popular wallets are Trezor, Ledger, Keepkey, Coolwallet, and Bitlox. All the hardware wallets listed in this category are known for their security. Only very few investors and traders who keep their currencies in these platforms have had issues with the platforms. Most users of these wallets are actually enjoying it and they have had no reason to change the platform irrespective of the amount they have to spend to get the wallets. The private key accrued to each customer’s account is guaranteed as very secure irrespective of whether or not the device it is on start malfunctioning. The private key of a customer is supposed to be personal to the customer and these wallets have lived up to that expectation. Numerous cryptocurrencies are presently available and they all need to be stored in wallets are investors and traders actually invest and buy many of them and have to save them up. These hardware tokens are known to support a wide variety of crypto coins. This implies that the wallets are not particularly restricted to a particular coin or to the top coins but to most of the coins that are presently available in the cryptocurrency world. This is a major advantage they have over many other platforms as some of the platforms don’t have a variety and they only support a few coins. When it comes to saving up, it eventually leads to the sales of the particular coin you wish to save up. On these hardware wallets, you don’t only enjoy a secure form of saving up but you also enjoy completing your transaction by selling of your coins or even converting it to new currencies, as you want it. This is another advantage which could have caused a big issue for investors and traders but which has been covered up by many of the platforms. Another interesting thing to note on these platforms that makes them stand out is the fact that there is a healthy competition between all these wallets. They always set standards to be better than themselves so that they can become favorites of investors, traders, and enthusiasts who wish to save up on the platform. Starting from the pricing, some of them are actually cheaper than the other and the ones that are expensive actually have more features, which make them better than those that are actually cheaper. 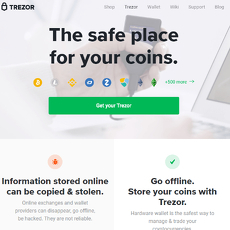 For instance, Trezor is a little bit on the high side when it comes to the purchase of it but it supports a wider variety of coins which makes it stand out among others. There is absolutely no point purchasing a particular package if you are not going to enjoy or understand how it is been used easily. 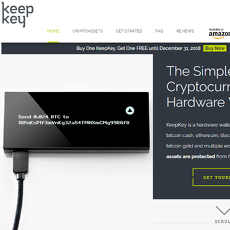 These hardware wallets have proven themselves to be easily accessible and easy to understand. They are so easy to use, such that, even beginners in the crypto world can get to use them well enough. You don’t particularly have to be taught or have to make extra payments in order to learn the format through which it is been used. All you need do is make the purchase and start keeping your funds in no time at all. 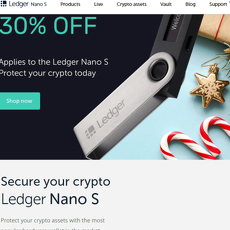 The individual hardware wallets on this site are worthy of consideration, though they might have some flaws, all in all, they have proven themselves to be useful in relatively reliable. They have gotten wonderful commendations and constructive recommendations from users. They are also consciously improving on themselves every passing time with better interfaces, more welcoming and highly attractive packages that make their users always want to stay and even invite other friends to save up with the wallet.